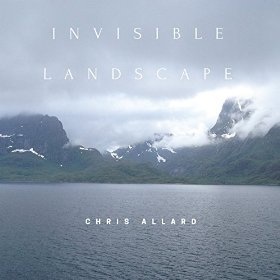 This is the fourth recording by contemporary guitarist and composer Chris Allard. The ex Guildhall and Malmo Conservatoire classical student came into jazz by way of the much trodden path of NYJO and along with leading his own successful trio has worked with Dave O'Higgins, Jacqui Dankworth, and The BBC Big Band. He has also been awarded for cinematic composition at the Berlin Film Festival. A non-cliched linear improviser of great originality and talent he is joined by the accomplished bass man Olly Hayhurst and award winning drummer Nick Smalley. Augmenting the line up on two tracks is the soulful vocalist and Fender Rhodes specialist from Memphis, Charlie Wood who has for too long remained a well kept secret on this side of the Atlantic. The album consists of seven originals by the leader plus three well chosen compositions by others. The music is very much guitar led in an original style with little vibrato alongside overtones of Pat Metheny. The opening tracks "Morphic Resonance" and "Critter" set the scene well with intelligent un-cluttered lines delivered at a relaxed tempo over subtle shading from bass and drums. The tempo increases on the highly descriptive title cut featuring a fine bass solo over guitar back drop. Any vocal performance of the Loesser/ McHugh classic "Let's Get Lost" will always be compared to Chet Baker's interpretation from the fifties. This refreshingly new arrangement from the American vocalist certainly more than holds it's own with an unaffected and bluesy laid back delivery over an atmospheric keyboard and guitar accompaniment. Further originals, the melodic ballad "Extended Mind", the drama of "Hekla" plus "Finn" with it's kaleidoscopic intensity serve to show the leaders emerging composing skills.